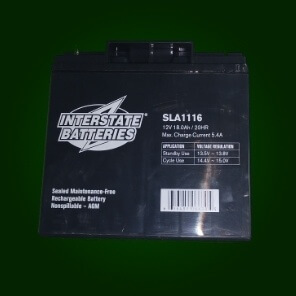 The low internal resistance and quality lead make the Interstate SLA1116 battery the preferred battery of FRC teams. Price is for 2 batteries. Batteries will ship in a single package separate from other items ordered. Ship weight is ~26lbs and includes 2 batteries. 7.13" x 3.03" x 6.57"